Building on the success of the backpack class, we will make a clutch-sized wallet that is big enough to hold your phone. We will use interfacing, follow a simple printed pattern and install a magnetic snap. There will be ways to customize the keychain loop however you want! All materials are provided for this project that will be completed in one class. 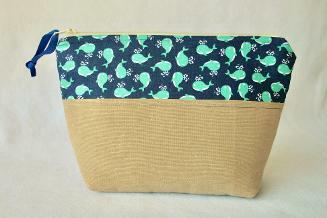 Learn how easy it is to install a zipper when you make this cosmetic bag. We will use a waterproof lining and add dimension to the bottom with box pleats. All materials are provided for this project that will be completed in one class. 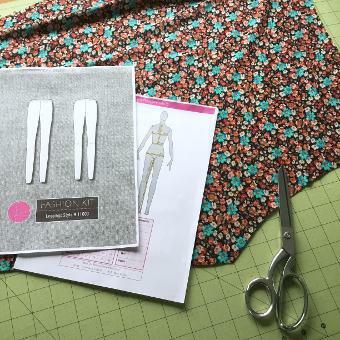 Sew your own leggings with an easy-to-follow Fashion Kit pattern in this 3-part class. Leggings are so versatile, you can never have too many: layer under tunics and dresses, wear as sleepwear, or even as pants. Sewing stretchy knit fabric is possible on a regular machine with just a few tips and tricks. Once you make this pair in class, you will have the pattern to take home with you to make as many as you like. Please bring 1 yard of knit fabric (interlock preferred for this project--just ask if you have any questions! ), or if you are tall or choose a fabric with a directional print, bring 1.25 yards. ("Directional print" means that if you cut your pattern a certain way, the print may appear sideways on the finished leggings). 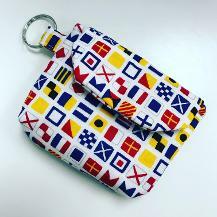 All other materials are provided for this beginner-friendly project. If we happen to complete the project earlier than 3 full classes, we will make a bonus project! Check with Karen if you have never worked with a sewing machine before, so she can get you up to speed and join the class you want to take.